My son is very much obsessed with trains. I think he loves them because they are loud and go fast. No one really introduced him to the obsession. He would just see them while we were driving and ever since he has been fascinated with them. We have some friends who has a son about the same age who is equally if not more so obsessed with trains. 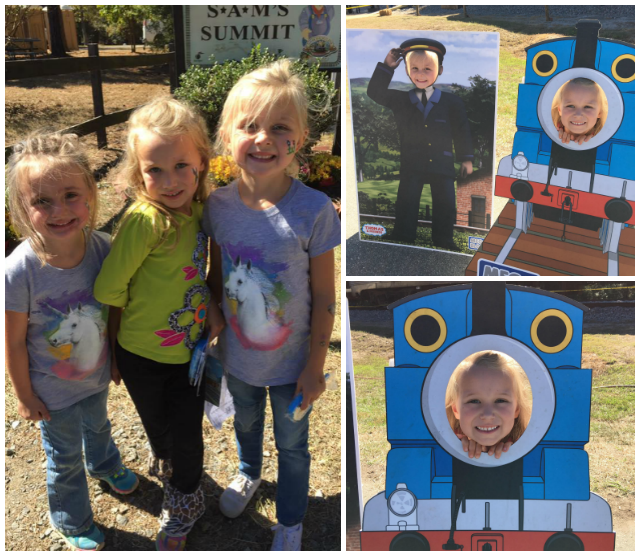 So his mom found the Day Out with Thomas event where you could ride a real Thomas train! We had to drive to southwest Georgia, which for us was almost a two hour drive and our friends live further north than we do. The day was kind of warm for October, but very pretty. 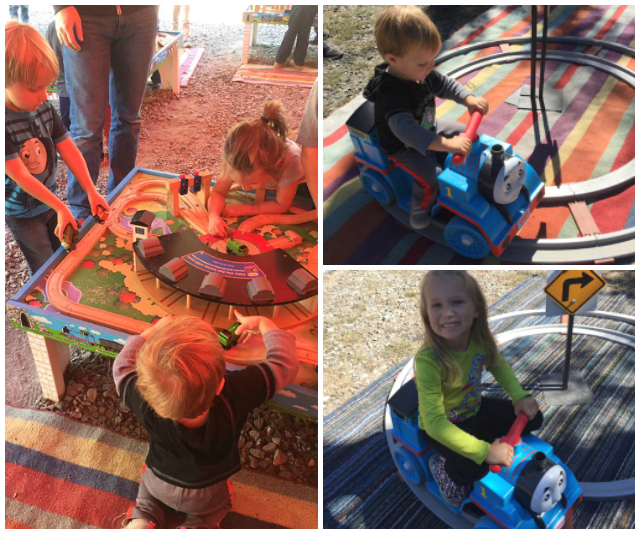 Once there, you could take pictures with Sir Topham Hat (which none of the kids wanted to do because he was a "character"), the kids could play with train tables, they got their faces painted, there was small Thomas Trains to ride (similar to this one), and they had tons of other little games like that. As far as the train ride, they are actually pulling Thomas which the kids figured out quite quickly. 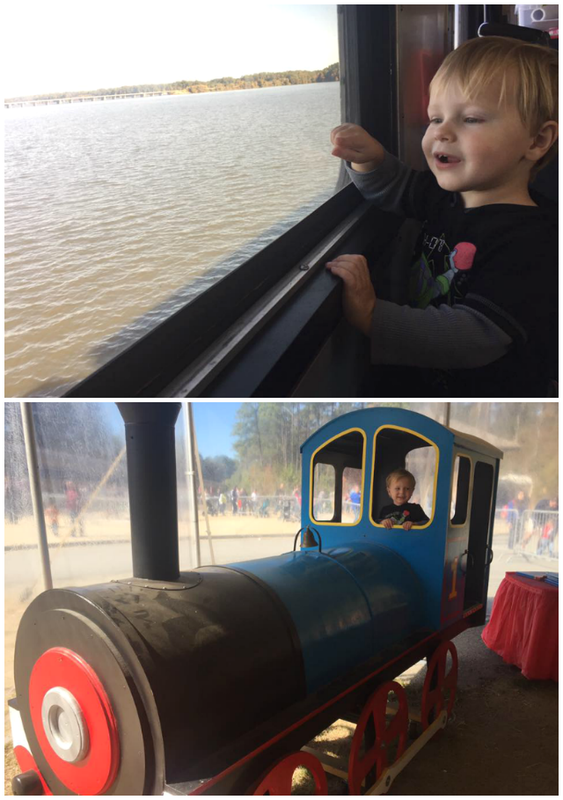 My son still enjoyed looking out the window, but I think he enjoyed riding the tram on the way there more because he could actually see he was riding a train. LOL When we tried to take pictures with Thomas, my son had a total melt down because he doesn't like characters. 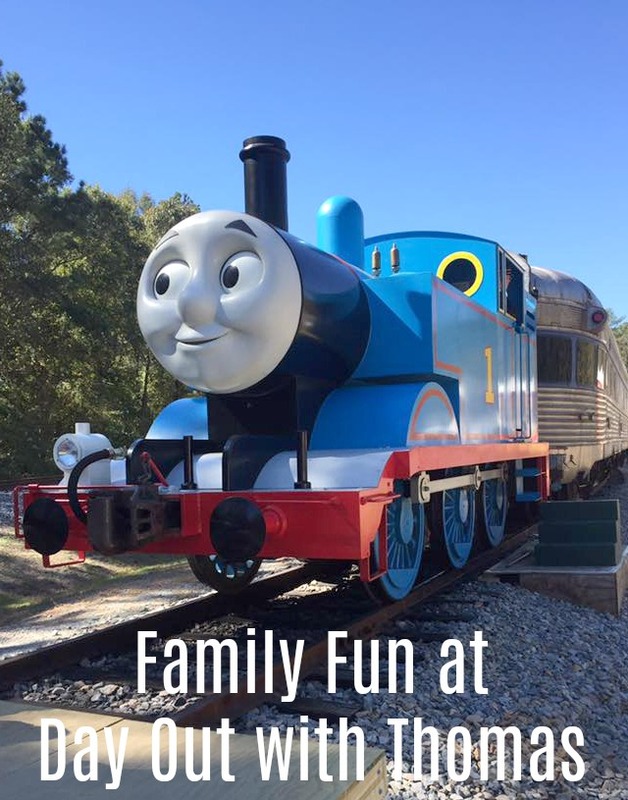 My son is a Thomas fan, we haven't done one of these events in part because they are never super close and because I wasn't sure if it was worth the trip. Good to see a little bit more about it.